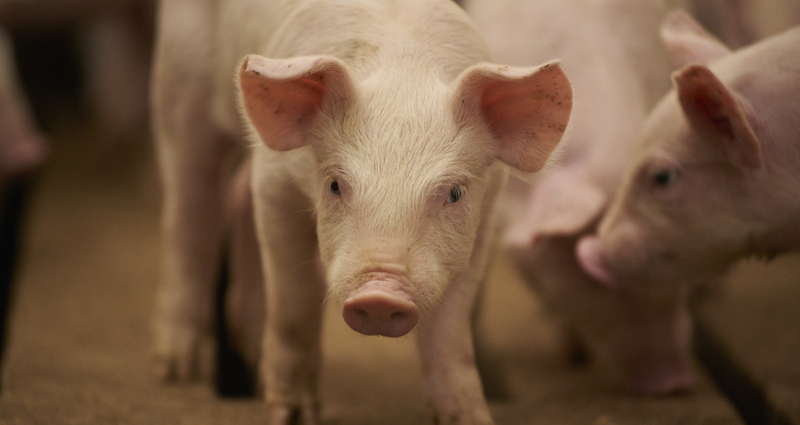 IAV-S is one of the top three diseases affecting pigs, and nowhere are those effects felt more sharply for producers than in their bottom line. Between the emergence of new, difficult-to-control viral strains and their endemic presence in many swine populations in the United States and around the world,1 Influenza A virus in swine (IAV-S) is a growing threat to the industry. IAV-S is one of the top three diseases affecting pigs in all phases of production,2,3 and nowhere are those effects felt more sharply for producers than in their bottom line. IAV-S attacks the cells that line the respiratory tract of pigs. It weakens their first line of defense against subsequent respiratory infections, leading to concurrent infections that impact both pig performance, including mortality and culls, and the cost of production. Concurrent infections also compound the economic losses from IAV-S. For example, the same study determined that producer cost associated with pigs challenged with uncomplicated porcine reproductive and respiratory syndrome (PRRS) was $5.57 per head. However, when IAV-S was present with PRRS, production losses actually grew to $10.41 per head, not $8.80, and mortality, culls and tail enders increased significantly (p<0.05) to 4.34 percent over baseline.4 Similarly, uncomplicated Mycoplasma hyopneumoniae cost only $0.63 per head, but when present with IAV-S, that number jumped to $10.12.4 Unfortunately for most producers, these concurrent infections are all too common. Knowing the significant impact Influenza A virus in swine can have on production and ultimately the bottom line, Dr. Goodell recommends following prudent IAV-S health management measures including critical on-farm biosecurity protocols to minimize exposure and endemicity in your herds. To learn more, talk to your veterinarian or visit www.aboutswineinfluenza.com. 1USDA APHIS. Swine disease information. Available at: https://www.aphis.usda.gov/aphis/ourfocus/animalhealth/animal-disease-information/swine-disease-information. Accessed August 17, 2017. 2USDA APHIS, VS, NAHMS. Swine 2012, Part II: Reference of swine health and health management in the United States, 2012. February 2016. 3Vincent AL, Perez DR, Rajao D, et al. Influenza A virus vaccines for swine. Vet Microbiol 2017;206:35–44. https://doi.org/10.1016/j.vetmic.2016.11.026. 4Dykhuis Haden C, Painter T, Fangman T, Holtkamp D. Assessing production parameters and economic impact of swine influenza, PRRS and Mycoplasma hyopneumoniae on finishing pigs in a large production system, in Proceedings. 43rd American Assoc Swine Vets Annu Meet 2012;75–76. 5Donovan, T. Influenza isolate selection methodology for timely autogenous vaccine use, in Proceedings. Amer Assoc Swine Vet Conf 2008;551-561.